The word ‘value’ in a jewelry context obviously sends one’s mind towards valuable and precious, but the title refers in its entirety also to one’s personal set of values. The project takes its starting point in a general wonderment about my own behavior patterns and mindset as well as a reflection upon values characterizing Western society today. Among other things the Danish tendency to be somewhat conceited can advantageously be turned into curiosity, a call for a humorous, loving and critical eye. With these jewels I put physical form to thoughts about values in general. The theme MIND YOUR VALUES is visualized from different angles, from the personal point of departure to general observations about the world I live in. 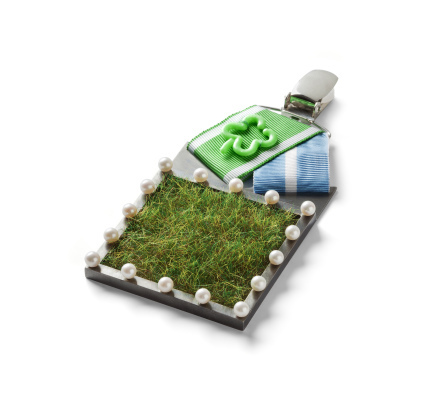 THE GREENER GRASS is a brooch with a piece of groomed grass surrounded by neatly set white pearls. With a twinkle in the eye this brooch sticks a finger into the myth about the grass always being greener at the other side of the fence. 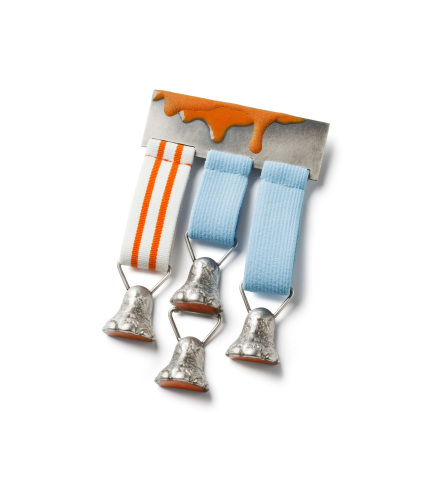 Here I have created a medal that considers your own lawn as the best looking and most desirable. 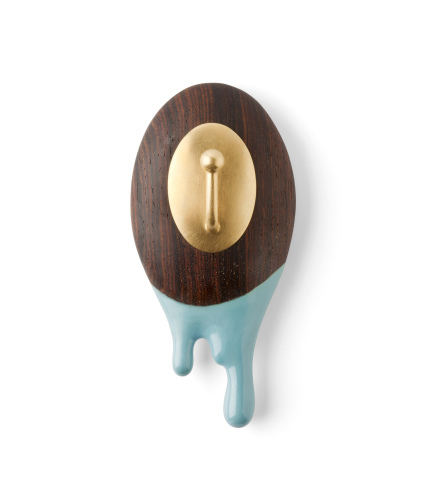 The brooch sticks its finger into our self-awareness, because if you come a little too high horse, it might be good to find a safe way down before you get pulled down. The horse is equipped with both crutches, a ladder and suspenders in a slightly surrealistic combination, so the mind doesn´t lock itself a logical symbolism. There are several possible ways to interpret this brooch, and it is perfectly okay to me, to construct your own personal narrative. MY PRINSESS ring is part of a project called MIND YOUR VALUES. 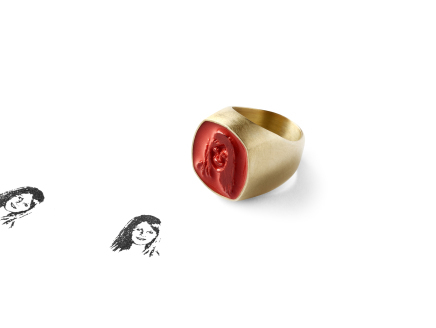 The ring is designed as a classic signet ring with a photo of a girl made as a silicone stamp. In Roman times the emperor often had a signet ring with his portrait engraved in a gemstone. It was a symbol of his status and power. Denmark today have become a society enormous focus on the individual, and put a little on the tip, we almost consider ourselves as kings and queens - at least we raise our children as princes and princesses. I have chosen the portrait of a child as a hint to the allegation that children today are considered and presented as symbols of status. ... at the same time some people think that children today are assigned significantly more power in the family than ever before? 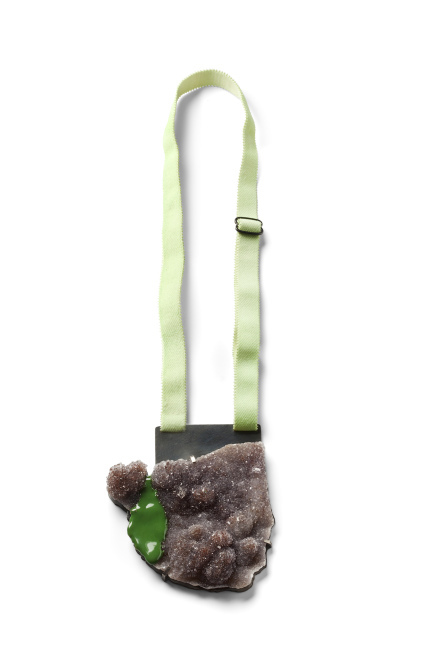 Gold plated silver, oxidized silver, pink opal, polystyrene, paper, lacquer, coral, rosenquarz, elastic. The piece is intended to be a humorous comment on the need to “step out of the wallpaper” and the angst of being just another person in the crowd. Behind this comment, lie a curiosity about why it is so important, and almost a prestige factor in society, to be totally unique. What about the honor in being part of the group, contributing and working towards the common purpose? Is the consequence of a society educating children to be individualists with personal opinions and demands that more and more young people are feeling lonely, marginalized and categorized "misfits"? The flamingo is a beautiful bird - both in groups and by itself!